Nioh (game, 2017). 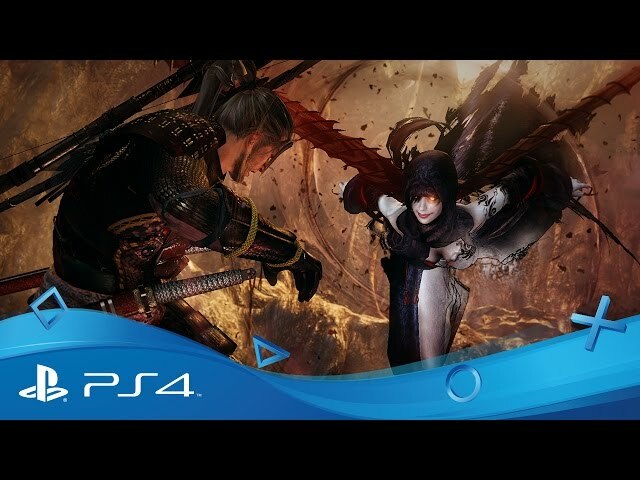 An action role-playing video game by PlayStation 4 Sony Interactive Entertainment WW, Koei Tecmo JP Microsoft Windows Koei Tecmo WW/Koei Tecmo Games. Developed by Team Ninja, KOEI TECMO GAMES CO., LTD., Koei Tecmo Games. Official Trailer. 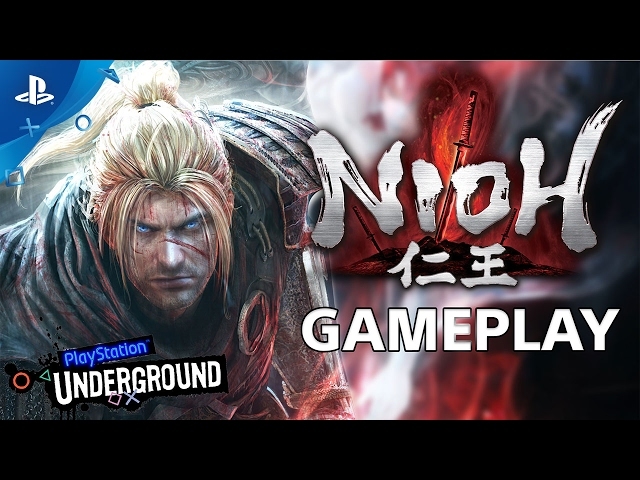 Nioh is an action role-playing video game by PlayStation 4 Sony Interactive Entertainment WW, Koei Tecmo JP Microsoft Windows Koei Tecmo WW and Koei Tecmo Games, developed by KOEI TECMO GAMES CO., LTD., Koei Tecmo Games and Team Ninja. 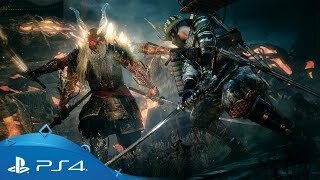 Nioh | Bloodshed's End DLC Launch Trailer | PS4. 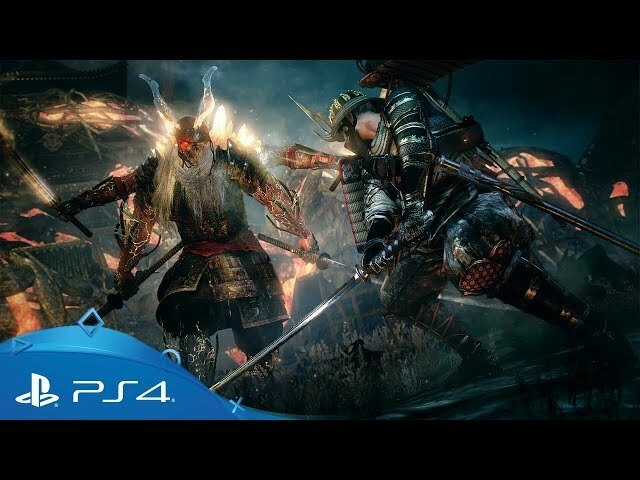 Nioh is set in 1600 within a fictionalised dark fantasy version of the late Sengoku period, a time when the clans of Japan were at war prior to the unification under the Tokugawa shogunate and the beginning of the Edo period. 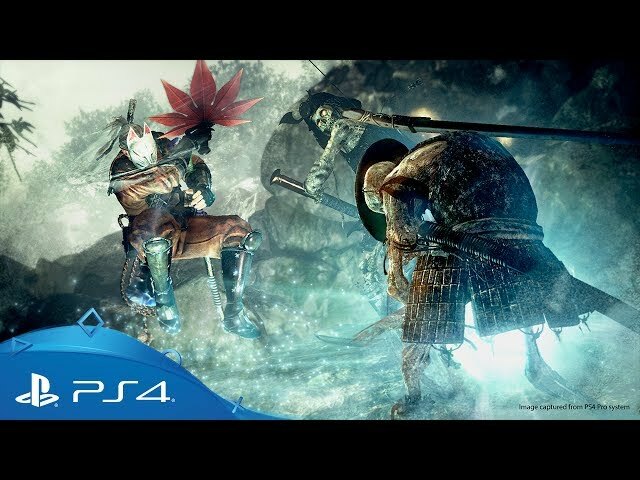 Amidst the fighting and high death toll, yokai have appeared and begun wreaking havoc across the land: major yokai threats that appear in the game include Hinoenma, Jorōgumo, and a Yuki-onna born from the spirit of the wife of Oda Nobunaga following the Honnō-ji incident. 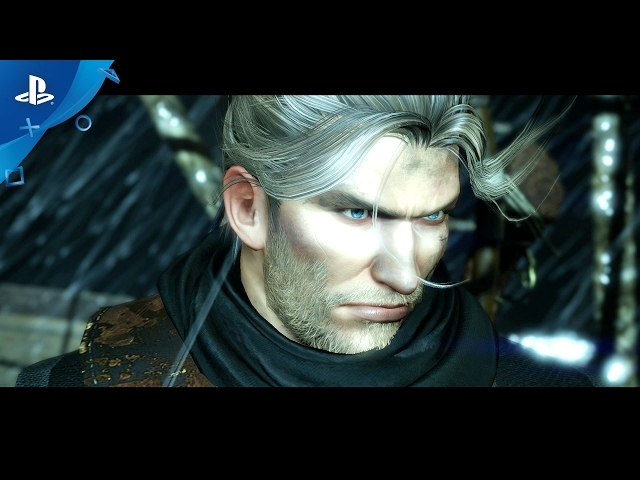 The game's main protagonist is William (Ben Peel), a blonde-haired Irishman who arrives in Japan in pursuit of an enemy. While there, he crosses paths with Tokugawa Ieyasu (Masachika Ichimura) and his ninja servant Hattori Hanzo (Toshiyuki Morikawa), forming an alliance against both William's enemy and the yokai infesting Japan. William is trained in combat by Yagyū Munetoshi, Hōzōin In'ei and Marume Nagayoshi. 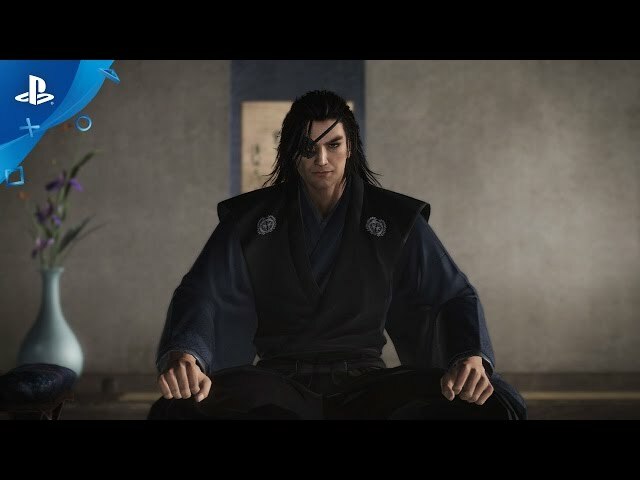 The main antagonist is Edward Kelley (Hiroyuki Kinoshita/Nicholas Boulton), a Westerner driving the conflict using his dark alchemical abilities under the order of John Dee (Timothy Watson), chief advisor to Queen Elizabeth I. William also crosses paths with numerous historical figures from the period: these include Ieyasu's allies Ii Naomasa (Jun Fukuyama) and Honda Tadakatsu (Tesshō Genda); daimyo Kuroda Yoshitaka (Yōhei Tadano) and his son Kuroda Nagamasa (Hiroshi Tsuchida); Ieyasu's main rival Ishida Mitsunari (Takahiro Sakurai) and his allies Shima Sakon (Keiji Fujiwara) and Ōtani Yoshitsugu (Kenyuu Horiuchi); Tachibana Ginchiyo (Shizuka Itō), head of the Tachibana clan, and her husband Muneshige (Eiji Hanawa); hostile mercenary Suzuki Magoichi (Yasuyuki Kase); Yasuke (Richie Campbell), a former favored vassal of Nobunaga; and Tenkai (Takayuki Sugō), a monk of the Tiantai Buddhist sect and master manipulator of yin and yang magic. Original characters include Okatsu (Emi Takei), a female ninja in Hanzō's clan who holds a dislike for William; and Fuku (Risa Shimizu), Tenkai's disciple. 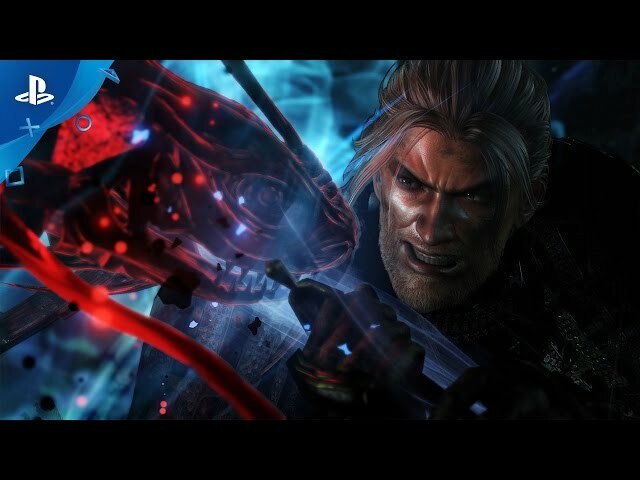 Nioh is an action role-playing game set in Japan during the year 1600, with players taking the role of an Irish samurai named William. 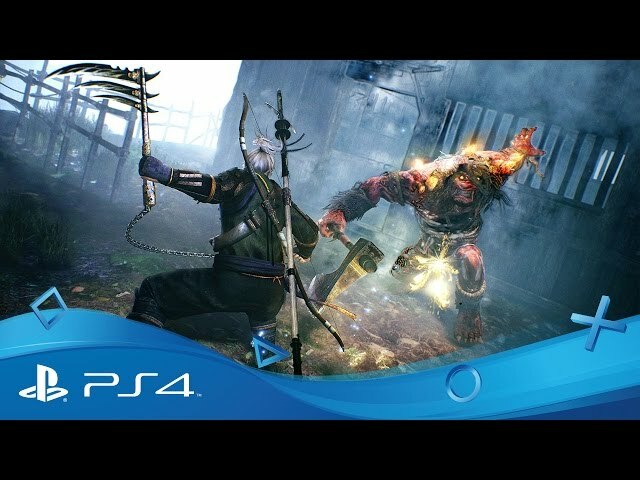 The player guides William on missions through enclosed environments fighting both human enemies and supernatural beings called yokai: missions are self-contained, hold alternate routes William can navigate, and selected from a menu rather than reached by navigating an open world. While navigating environments, William can find various collectables both in crates scattered through the environment and in other places within the environments such as fallen soldiers. These collectables include Amrita, the game's experience points (EXP); gold, the in-game currency; new weapons and armor, and consumable items such as bombs. Weapons and armor found in the environment can be taken to a blacksmith, who are able to buy it from William or can break it down into base material. Shrines scattered through levels act as checkpoints, allowing players to save progress, replenish health and raise William's experience level through accrued EXP: doing this respawns all normal enemies within an area. Skill points acquired in combat are assigned at shrines. 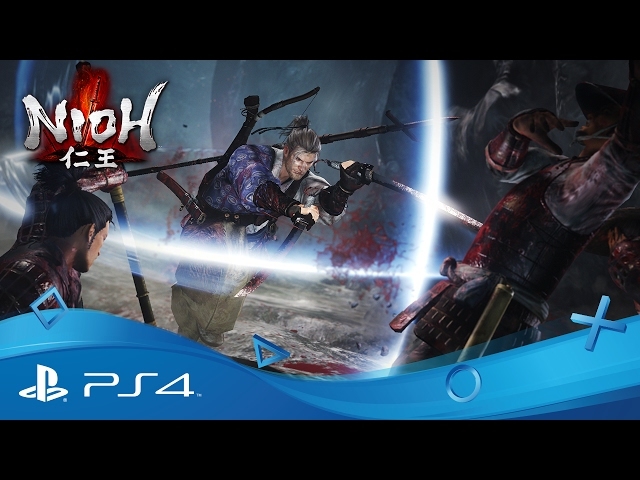 Nioh was scheduled to be released by PlayStation 4 Sony Interactive Entertainment WW, Koei Tecmo JP Microsoft Windows Koei Tecmo WW and Koei Tecmo Games on February 7, 2017, on February 8, 2017, on February 9, 2017 and on November 7, 2017.